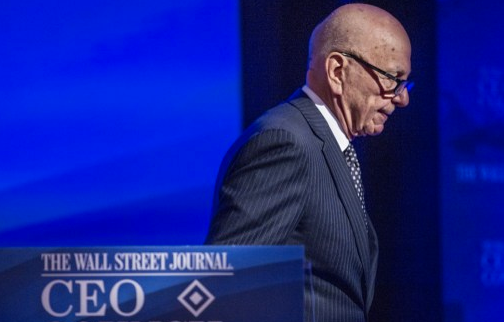 The European and International Federations of Journalists are calling for action to stop the proposed merger of 21st Century Fox Inc and Sky plc, claiming it would ”undermine media plurality and be against the public interest”. The EFJ and IFJ joined forces with the National Union of Journalists in the UK and Ireland and the UK Trades Union Congress and the European TUC to welcome the decision of the European Commission to examine the bid and urged it to consider the impact on media diversity and plurality in the UK. In its submission to the investigation the IFJ called for action to oppose the merger. The hacking scandal and its aftermath have demonstrated how concentrations of media power can be used to harm journalists, journalism and democracy. In addition, many local communities have lost the means to publicly hold power to account. • the fourth-largest online news provider. It would bring together Britain’s monopoly satellite platform and its largest broadcaster by revenue. The merger would make Rupert Murdoch the only person ever to control a substantial share of wholesale news provision on all the main news platforms and be a strong presence on leading third-party sites, such as YouTube and Yahoo, further extending the company’s reach. Sky News online is the most widely featured news source on Yahoo’s UK news page, accounting for more than 25 per cent of articles in February 2017 and more than 50 per cent of headlines. Free, independent journalism and media diversity are crucial to our democracy. We believe the risks posed by further concentration of media ownership fundamentally undermines the public interest. Seamus Dooley, NUJ acting general secretary, said: “The determination of the Murdochs to extend their power, wealth and influence knows no bounds. The need for media plurality is recognised in the European Charter of Fundamental Rights and in that context the European Commission has a direct role in examining the proposed merger. The NUJ has always believed that media diversity is essential in a healthy democracy. We have already witnessed the impact of media concentration on journalism and politics. We must ensure that at national and European levels every effort is made to halt the onward march of the Murdochs.” Download the NUJ submission.